Come One, Come All, the Circus is in town!!! This is an exciting 3 lane slide with Eye Popping artwork. Comes with two small carousel themed bouncers that add to the charm and excitement. Appropriate for 4 yrs. 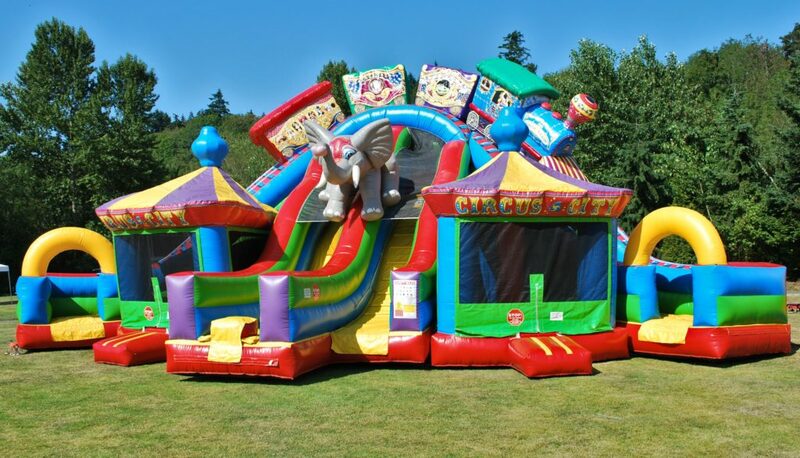 old and up and great for birthday parties, a school carnival, or a company picnic in the Seattle area.